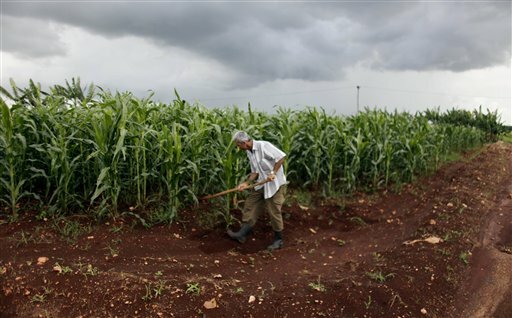 Cuban sugar harvest 2015/16 starts this weekend and will put emphasis on agro-industrial efficiency to increase the production of sugar, despite unstable weather conditions, said Friday an official source from Azcuba. The drought affecting the country, the hardest in more than a century, will impact on sugar production, but this impact could be minimized by organizing the industry and rising levels of efficiency in the production. After going through quality repairs in all agricultural and industrial machinery in order to benefit the most from its milling potential, plants are ready to start-up a well-planned operation, Liobel Perez, institutional communicator of the Sugar Group of enterprises Azcub, declared to the press. According to the chronogram, 50 factories will participate in the harvest this year, 33 should be active before the end of the year on December 31, while the remaining 17 will start in January. In the campaign 2014-2015, production was 20% higher than the previous one, but the industrial capacity of the plants was below expected and prevented the plants from achieving a higher result. That is the result of a program, approved four years ago to increase production steadily and extend the harvest from 90 to 130 days, allowing more leverage from January to April, a period in which there is generally better yields . Therefore, in this crop, most crushing will be concentrated in the first months of 2016, when the 50 plants should be working.